The Second Empire, brilliant and eclectic, was also a period of industrialisation, giving rise to the construction of inexpensive harmoniums and pianos which invaded parlors and democratized music. 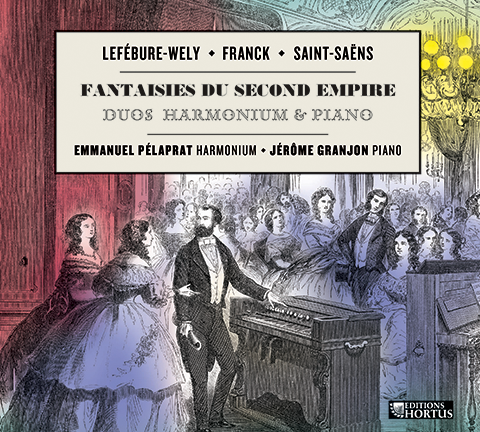 Lefébure-Wely was one of the first composers to write piano-harmonium duets. His sonata, presented here, is a world premiere recording.